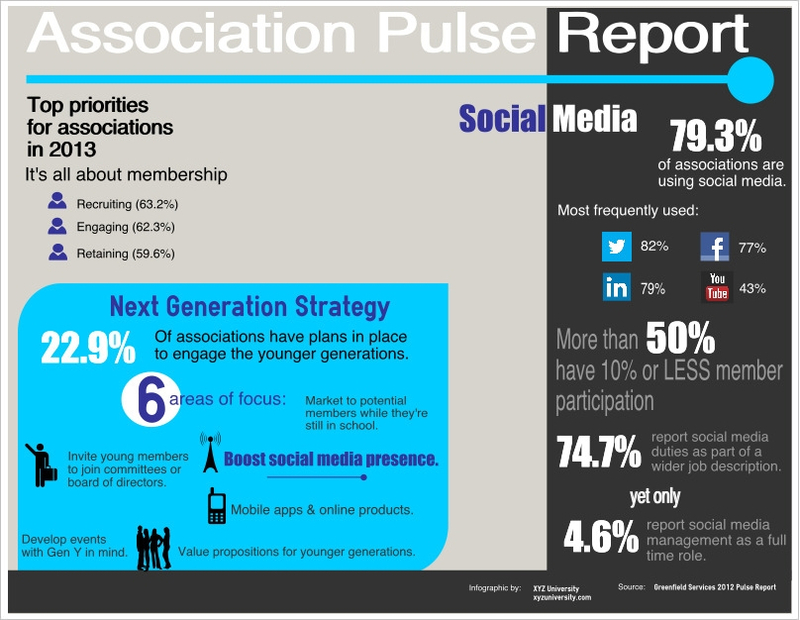 The Pulse report is based on an online survey completed by 147 associations and includes a lot of great insights into the state of associations today. You can check out the full report here. It’s a great indication of the direction your association should be looking, and how far y you’ve all got to go to get there. According to the report, association top priorities are all about members: recruiting members, engaging members and retaining members. This sounds great, but how will associations do that? I find it alarming that nearly half (47.1%) of respondents report having no member marketing plan in place. It’s going to be pretty tough to focus on members without a strategy in place. 80.7% of respondents said word of mouth was how prospective members learned about their organization. Well, if you don’t have member marketing plan in place to engage and retain your current members, what do you think will be coming out of their mouths? Something that will help you recruit new members? Probably not. Where will these new members come from? With Boomers retiring and a massive generation shift already beginning, associations need to focus on recruiting Gen Y. However, only 22.9% report having a next generation plan in place. Social media stands out as an area where associations need to improve. Most (79.3%) report already being active on social media with another 18% saying they plan to become active in 2013. Those are great numbers, but when you dig deeper and see that 51.7% of respondents say they have 10% or less member participation, that leaves a lot of room for improvement. The 2012 Pulse report is filled with interesting insights that show associations have some great idea, but it also shows that they’ve got some strategizing to do. If your association is going to recruit, engage and retain members in 2013, you need to have a plan. And if you’re association is going to remain relevant, among other things, you need to be recruiting, engaging and retaining members. You need to keep up.